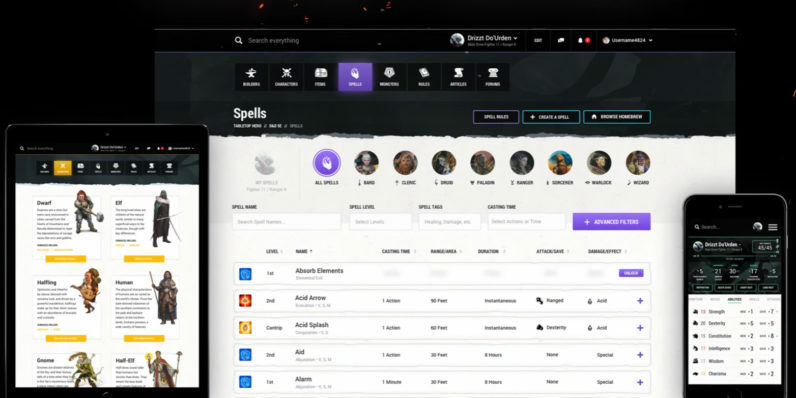 Dungeons & Dragons fans will be happy to know that the makers of the uber-popular tabletop role-playing game have made good on their promise from March to roll out a companion app to aid in your adventures. Available at this desktop site, D&D Beyond offers a complete Fifth Edition rules compendium, a character builder along with the ability to include your own homebrewed rules, and interactive character sheets. You can get started for free with up to six characters; a few additional tools, unlimited characters and access to the forums will set you back by $3 a month or $26 a year. The Master Tier, which costs roughly double that, lets you share your unlocked content with other players and is better suited to Dungeon Masters. Head to the official site to get started with your Twitch account; mobile apps are in the pipeline and should be out soon.